"If I refuse to read for you either just for the moment, or permanently, I will be polite about it. If I refuse you, I won't try making you feel bad about yourself just because I declined. That sort of attitude doesn't interest or entertain me in the slightest. I could be declining for a range of reasons that has absolutely nothing to do with my capability, I have been doing this work professionally since 1995 after all, and been living as a psychic medium and empath since birth, a lot longer than that. But even so, my refusal doesn't have to become a reflection of your character just because I felt the need to decline you in this moment. And, it's reasonable to expect you also don't try making me feel bad for following my instinct, which I work with, along with all the energies I connect to and the other tools in my readings, day in day out as a full- time psychic, medium, empath professional. " Yes... as much as that does surprise some people, Jacquelene does refuse some bookings. Specific reasons for declining are on this page and also on links lower down this page. 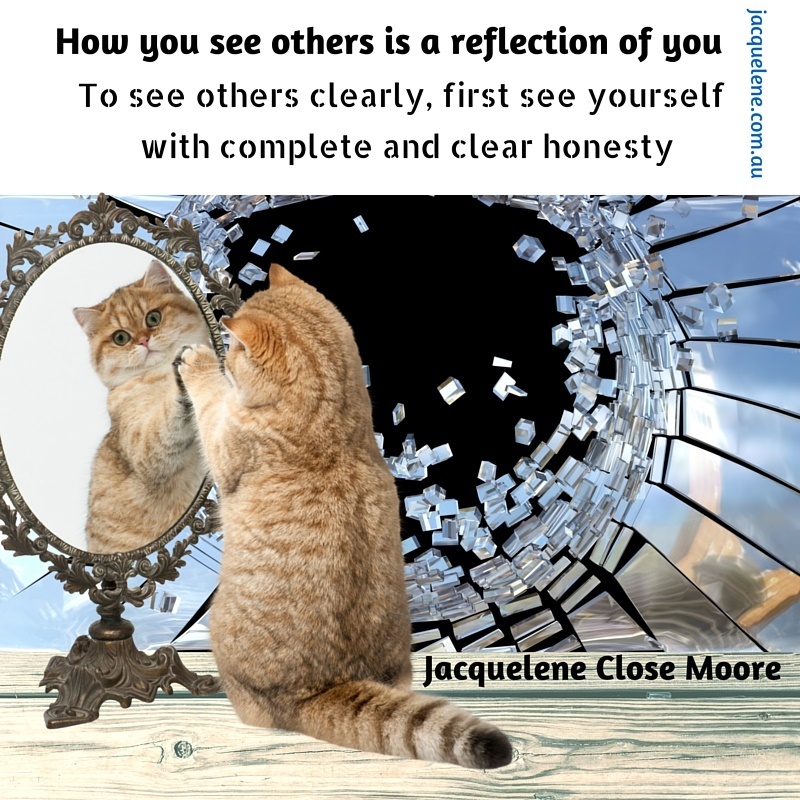 ​For the same reason, Jacquelene knows people she feels good about agreeing to consult will generally be happy with the reading they were drawn to contact her for. Are you creating your own outcomes? Client refuses to provide a real name, a mobile contact number despite having one. Giving your real first name and a mobile contact is a requirement that helps both your and my security. Client refuses to pay a deposit payment, or lies about not having a credit card in attempts to get out of paying a deposit. There are plenty of cash prepaid cards you can use, you can also send a cheque, money order, or pay online where I won't be able to see any private details anyway. Requiring a deposit is also really common these days, and ads to helping both your and my security, a reasonable consideration to make. Appointment times just don't line up and on more than one occasion. ​If you have received clear notification of available times and continue to demand appointment times at locations that have already been explained on multiple occasions are not possible. Any manipulative, deceptive, disrespectful, or aggressive types of behaviour towards call staff, or me is likely to result in me completely refusing all further contact. Below are examples of why a 12 month wait may be placed on a booking request from an individual. Lying abut your name, it's a matter of courtesy and mutual respect, you have my full and real name after all. Client requesting multiple personal call backs from me, or insistent on speaking personally with me at length before deciding whether to book. Why is that an issue? The more contact beforehand the less likely there is a positive energy flow happening for this reading at this time. If making a booking and it flows easily, it is going to work better. ​There may be other reasons I have to decline for 12 months, including that you have had too many readings with others, and other reasons that have nothing to do with my confidence in my skills. Repetitively not following very basic instructions, being demanding and abusive, not respecting boundaries, and making contact in the middle of the night, repetitively. We all deserve rest and sleep. See the human rights convention for clarification if required. Using a fake identity to make the booking, and persistent in doing so in repetitive sessions. If you can seriously lie to a psychic and get away with it, why on earth book them? People who lie to a psychic or act with very strong duplicity and manipulative game playing when making bookings or in appointments. Or, trying to play one psychic off another "they said" "you said." Repetitive visits over the same issues, asking the same questions taking none of it on board, doing nothing, and making no progress at all with anything in life while complaining about why that thing you said they need to act on to happen didn't happen, when they took no action... surprise ! Trying to surveill, stalk or harass another person, or the reader, or if the client is seeking information about or to locate someone who they are a danger to. Or, if the client has been lying about their name during the booking process, or is displaying deceptive or disrespectful behaviour of any kind. 1. A reading -while intended to be clear - can be more in depth and prove difficult for someone incapable of basic communication, and basic comprehension. 2. When it is clear ahead of time, that - regardless of how accurate Jacquelene will be and what strategy she might employ - that the client is never far away from becoming:- nasty, pushy, demanding, lacks all empathy, defaming, derogatory towards anyone or the reader, or likely to avoid making payment for services for reasons other than being unhappy with a service, nor for reasons of financial hardship, abuse of any kind, threatening, harassment, or stalking ... Life is short, enjoy it instead. The client is there on false pretenses on behalf of someone with professional jealousy issues. We just aren't connecting... A client making statements that seem to ignore, or attempt to manipulate, push, bully or go around all previous, very clear, concise and basic instruction... before the appointment has even happened... when that happens, no appointment will happen​. And it is the right of Jacquelene (or any reader for that matter)​ to refuse, and not have to explain it to you. Sometimes, a person might be at a very vulnerable point in which reaching out to mental health services or medical health services may better serve their needs than a reading. They may lack adequate comprehension skills to take in what is said because of their highly emotional state and associated stress levels, and may also not be in the right space to rationally take in what was said or deal with the answers to questions they pressure any psychic to give. Being obsessed about things also makes it difficult to hear the truth that just because you want something unrealistic that it will "just be" because you said so or wanted it. Readings are for guidance purposes only, to assist and support you in making your own choices. I take all care to provide you the best reading possible, but the responsibility for your life is completely up to you. I am here to help you, bear in mind that you also need to be helpful to yourself. Part of that is not trying to force my answers to meet your desired responses. If someone seems unable to follow very basic information in the enquiry process, or in a booking call, they won't make use of an in depth reading. I may offer a healing appointment but will not offer a reading. And, I can only provide them with a healing appointment where it is not in conflict with the advice of their mental health professional. ​I don't usually repeat full answers, and will ask a client if they heard me the first time and whether they require clarification, and will consider whether continuing the reading has any merit where a lack of understanding exists. "IF IT IS TO BE IT IS UP TO ME"
I empower you from a different insight to empower you to make your own life choices. Asking me the same question multiple times doesn't actually change my answer about outcomes, but it will cause me to remind you that I have already answered that and either we move onto another area or I close the reading. I have to refuse people who completely ignore me ... and specifically if that means they are also ignoring common sense ... yet they come back asking the same questions about the same topics over and again, complaining that the thing I said would happen IF they took action didn't happen after they didn't take action and didn't do anything to make it happen. If you are thinking of buying a house, it's no good asking me to see for you the house you will be happiest in if you don't then visit the real estate agent I point out to you that has it listed, even though I have no prior knowledge of that house, or agent. In one case I foresaw the interior and exterior of the house, the suburb, the back verandah, and size of the block. Then saw the location, branding colors of the real estate agent, and told the client to cancel all their other appointments for the day and instead go NOW to that exact real estate agent straight away. It turns out the house I described had an open for inspection, and the client only just made it to the opening after locating it in the real estate window like I said they would, and then driving to the address to view it. They fell in love with the home straight away, (and the asking price) like I said they would. They put in the offer that day, the vendor accepted the offer later that day, paperwork was signed. Turns out someone else also visited that day and said they would return with an offer, which they did three days later... Like I said they would. their offer was a higher offer, but the sale was locked in for my happy client. Think for yourself about whether they would they have blamed me if they missed out on that home... and you quickly see why it is up to you to make things happen in your own life, no matter what insight you receive or where from. I can probably help you as long as you also help yourself. I really have to refuse requests from people who are instead actively destructive in their own lives, and that of others, and who demonstrate they will continue that whole pattern no matter what anyone does or says. Working in the field as a psychic professional, since 1995, I am going to be honest with you. A lot of effort goes into how I deliver what I perceive, how I communicate with you, and what tools we can come up with to help you in your life. It's not a good sign if you are trying to outwit or lie to the person you are seeking 'wise guidance' from before you even book them... Because if you can manipulate them, how much would you respect them and the guidance they provide? Lying can involve using fake names, giving fake details, or not being honest about what is being said or heard. Most psychics who have lasted in this field for any decent amount of time are actually pretty smart, and will have a keen eye for little things people say in avoiding the truth. ​And, as with most professions, the person you are consulting can only assist you as much as you are honest with them. ​I have to make a choice, in what may be a split second for that client, but for me, it can be a bit like an eternity. On detecting all of this in advance of the booking, to even proceed with their booking..
Find a diplomatic way to redirect them to other topics I know they won't lie about...or end the session if that isn't possible. ​You see, you need humour, not just compassion to work in this field. ​People's inner conflict can cause them to speak with duplicity. ​And, humans are naturally beings of inner and outer conflict, you need look no further than at the history of our species on this planet for evidence of it. Conflict isn't always a bad thing, it can be the source of many new developments and positive changes in society, but it can also be the cause of manipulations, destruction, confusion, and hurt to others. Thankfully, many are evolving to a state of choosing peace and enlightenment over fear and control.​​..and as a result don't feel the need to lie. but for those that are still in that old paradigm, please rethink your motives, as your motives go a long way in readings. Do we click? Should I talk to a psychic to decide if I like them? It is explained on this site that the first few minutes of any booking are obligation free and you only pay after that for the time you use. I also present a weekly worldwide radio show conducting live to air readings with a million listeners tuning in, and appear regularly at a major public events doing free live audience readings on stage...And all of that and more gives any reasonable person to know more and plenty of opportunity to decide whether to proceed. Sometimes I refuse to book someone because it's not the right time, or may be we just don't click. As much as you may be entitled to approach any psychic, any psychic can also refuse you and for any reason... Lengthy, demanding, or multiple confused or pressured phone calls before a booking can be one of those types of reasons. Let’s consider that a 15 minute phone call ( in which lots of the questions - that are asked and answered on this site - are asked and answered); is already equal to 1 quarter of the total time a 1 hour reading would normally take. I avoid too much exposure to clients before a booking and can tell a lot from a client over the phone in the first 30 seconds. This is why I have a receptionist. There's nothing wrong with calling to ask basic questions, however the expectation from a member of the public to have lengthy discussions with complete strangers about their exciting and sudden explosive spiritual awakening may not be ideal, as you aren't giving it the proper time, energy and respect it deserves. If your explosive spiritual awakening also includes a psychic awakening you should already know how many calls like that I already receive a year, and why its best to book an appointment instead of expecting to speak with me at length just at the moment you rang. "Before enlightenmnet, chop wood, carry water, After enlightenment, chop wood carry water." There is a difference between a basic question and grilling, interrogating, or over-familarizing with the psychic. One time, early in my public practice days, a lady rang and asked a myriad of questions, and included that she wanted to "know my star sign so she could tell if we were compatible before going ahead with a booking for a reading." I replied that I had not called her to book her to read for me, she had called to discuss whether or not she wanted to book me and as far as I knew I wasn't offering to date her romantically. She got offended, but I was just pointing out the boundaries, and absurdity of it. These days I would have brought that call to a close in 3 minutes, politely, with or without a booking by guiding her to meditate on it and call back if she felt she wanted a booking, as I have the next client / media engagement / writing project / public talk or etc to get to. Especially if after them telling me about every other psychic, despite me interrupting with "I know the answer to this, but have you tried calling that psychic to discuss with them your dissatisfaction instead of telling me?" It's a rhetorical question that they don't generally stop long enough to hear me asking them, I am more making a statement than expecting any coherent answer when this occurs. Why do I refuse them if they are acting that way? Because they aren't willing to be honest with themselves let alone with the person who just read for them. If they had of been they wouldn't be telling me because the psychic would have either clarified it for them or asked them to leave and not taken payment. I also know that type of person will also generally talk negatively behind all other people's backs and yet be so sweet to those same people's faces. Possibly I might offer a healing booking if I feel that might reduce their stress levels and help them address this behaviour. But I will only do that if they ask for more information and request it. I do my best to screen out rare cases like this, recognizing that readings are not always for everyone at the time they make initial contact. Are you having too many readings? Other psychics said "___" Why haven't you? 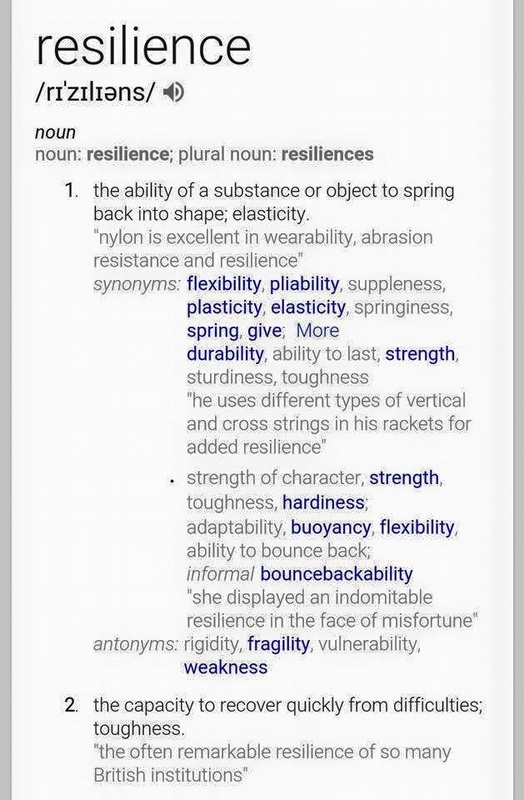 Jacquelene encourages those people towards becoming more resilient...Not towards yet more readings. Sometimes, Jacquelene refuses on the grounds that she can see just exactly how many readings they have had recently, and often the caller is shocked when she is able to accurately give a number to that and how recently, and it's clear to her that they have spent too much on readings and are becoming dependent on it completely and need to work more on making their own choices. In one case the caller had received six paid for phone readings that week, and Jacquelene was able to tell her that - with no information at all - and also tell the caller what the five of them had said to the client that was the same and what the other psychic had said that was different, and then added that they needed to stop having any more and instead listen to themselves and may be get counselling instead, because Jacquelene felt the five who gave the same message gave what the caller wanted to hear and the sixth had given what the caller needed to hear and Jacquelene agreed with that final, sixth person the caller had already spoken to. Unsurprisingly Jacquelene was very unpopular with that caller, even though they couldn't understand how Jacquelene could possibly know all of that. ​You can do amazing things for people at times, but it's not amazing for them because it wasn't what they wanted to hear, and you didn't make them feel good for an hour while fueling a delusion that eventually is going to require a harder landing than if you helped them face things now, with care, empathy, and reality. It could have been the very truth they needed to take on board to help their own life. We can't help everyone... They have to also be willing to help themselves. "Whenever I have readings with other psychics, they always tell me that I am very psychic, why haven't you?" "Other psychics always tell me that I am very psychic, why haven't you?" You feel for them, because they usually will go to great efforts to tell you how psychic they are... My work isn't as easy as I make it look. Be prepared that I may well decide not to go ahead with the session if you have had alcohol or drugs before coming to your appointment, or if you are wearing a strong perfume. ​In my case that includes higher awareness and sensitivity to all five senses including smell. I often can smell things in spirit and in your aura that can't normally be detected on a physical level. "You've had alcohol before coming here haven't you?" "OH my god, I said to (their freaked out friend) when we were at dinner, what if (Jacquelene) says "You've had alcohol before coming here haven't you?" At times I have gone on to name the type of alcohol e.g Merlot, Shiraz, Sav Blanc, etc that they consumed before coming to their session and asked they don't drink next time. If you know yourself then you know whether what is said is accurate, and you will also know who and what you feel drawn to and what and who you do not feel comfortable with. ​Feedback I have on this site is unsolicited and from clients over the last 2 decades, and, hard copies can be viewed upon request. If you do not feel drawn to the psychic and you don't like them or you doubt their positive reviews then you shouldn't book. Perhaps that reader will tel you things you aren't ready and willing to hear. Book because you feel drawn, comfortable, and that you feel the need for a reading and that you feel a synergy. That's how I choose services I utilise, it's also how I best work, and that's how all good readings happen with anyone you consult. Jacquelene wants to remain respectful of the energy, even and especially when people don't realise they really are booking a psychic. At times, Jacquelene has been able to "see" the face of the person who sent the client who is sitting in front of her. Most times that has been a positive thing, Jacquelene is very thankful to all people genuinely referring others for good reasons. Sometimes however, people who have either never met Jacquelene, and others who have never had a reading and never been a client have sent people to see her for less positive reasons. Jacquelene has sometimes called them out on it. Most times, however she has just proceeded with the reading as she would with a ordinary booking, just with more protective qualities than usual. Sometimes, she has stopped for a minute, silently smiled at the client long enough until they were just sufficiently uncomfortable and wondered if Jacquelene knew. Before Jacquelene proceeded normally, with the rest of the reading. Then, Jacquelene has said "thank you so much for your kind comments" in response to the client's expression of satisfaction to when they paid for the balance for their session. "Don't forget to say hello to - - - " for me, won't you? And tell them I wished them the best! Anyway, I better get back to it... you have a fabulous day won't you!" To which the word "shock" might best describe the client's expression, standing there on the street as Jacquelene waves, smiles, locks the door, and goes and has a cup of tea before her next client. ​Jacquelene has also in the past, at times "played along" when a new client has brought their friend along without mentioining this when booking, and with the intention of them both laughing at Jacquelene for an hour. Jacquelene thinks that's a fairly strange way to spend $175 and an hour of everyone's time. Jacquelene has proceeded to instead make the client's friend laugh to the point of tears about the client for most of the hour. All the while the friend of the client will have usually been nodding a lot, about each of the accurate yet common sense, logical things Jacquelene has said about the client's life that the friend has tried telling the client for the last 5 years to no great avail. The client in that scenario ( times a few since 1995) has generally sat there -usually churlishly - failing to make a single facial expression or sound, except the occasional grunt, may be. Fairly certain that if the client smiled their face might crack, Jacquelene has then managed to break through the remainder of the facade and address what's really been, deep down bothering them, and often it's been huge sadness or a lot of unresolved issues that Jacquelene then cuts to the chase with. For anyone to actively seek to humiliate Jacquelene and try to make her feel small in order to make themselves feel better really must be very sad, or damaged indeed, and desiring her help in ways they aren't even consciously aware of. Once this has been exposed, then there has usually been an explosion of crying, from the client, who although they came with the intention of making fun of Jacquelene, they left with a new understanding about themselves, a whole lot lighter, and a new understanding of how psychics really can work for you if you let them. Jacquelene really finds that such kinds of games can be really, nasty and quite draining. She feels that if the client is determined to sit there sullen and put angry vibes forward for an entire hour, that may be it would be better to book when they are going to take this more seriously.